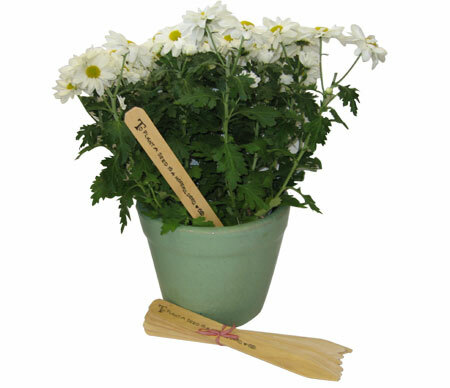 I've had my art “To Plant a Seed is a Hopeful Deed” imprinted on one side of these wonderful wooden stakes. They are huge ~ a foot long and over an inch wide. Big enough to hold all the necessary info on each of your plants or trees. Keep your perennials in order. A little info makes garden tours much more interesting! Set of 10 wooden plant stakes.